Grown for their amazing clusters of white flowers which can reach up to 10cm across. 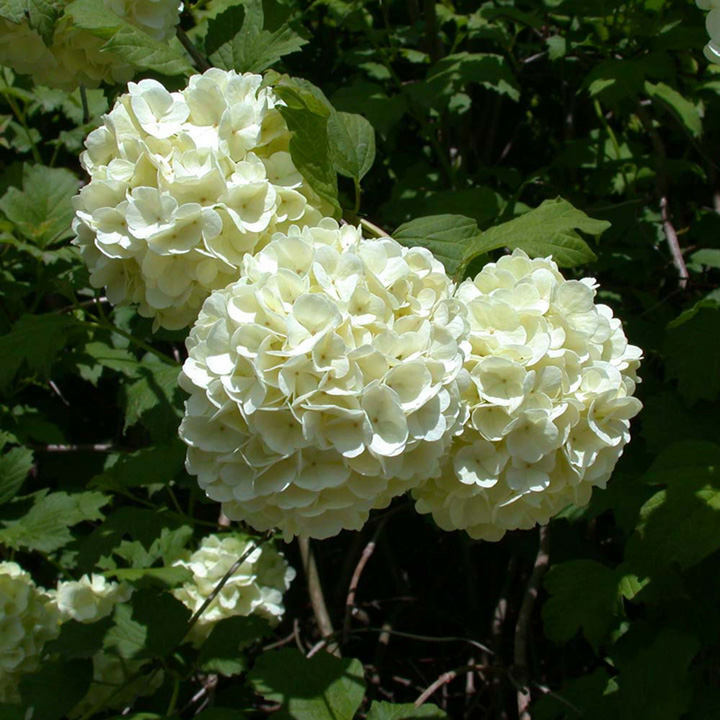 This viburnum is a fabulous shrub and will reach 3m when fully grown. It is deciduous and the leaves turn from a mid green to shades of red and purple in the autumn. Flowers May-June. Height 200-250cm. Supplied in a 3 litre pot.